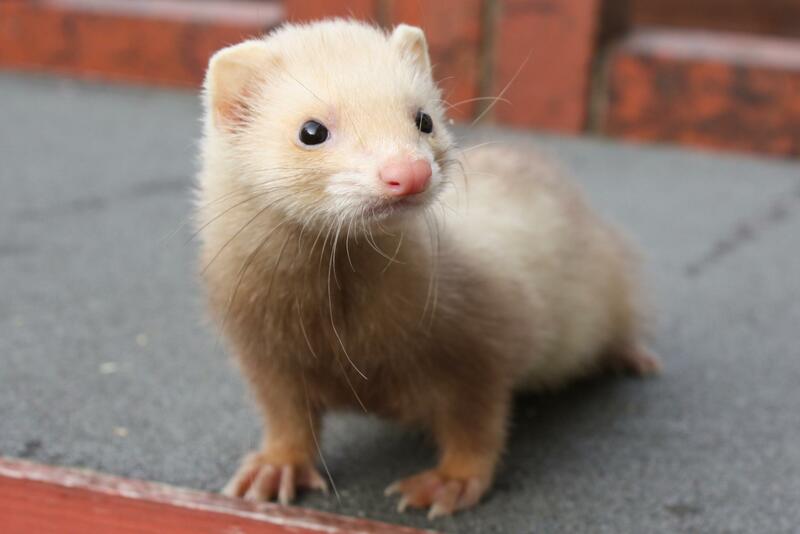 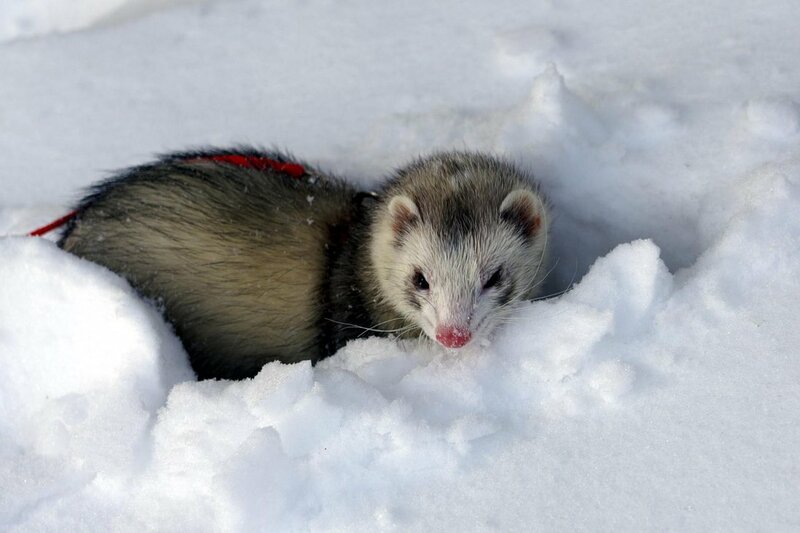 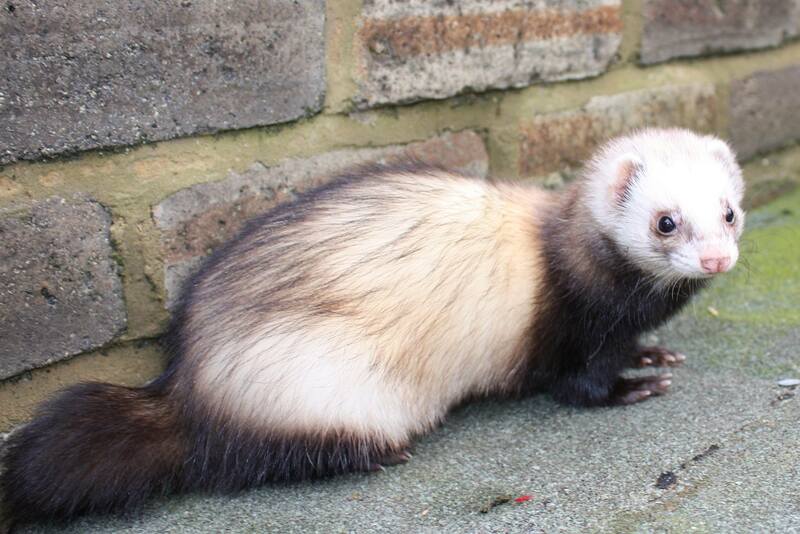 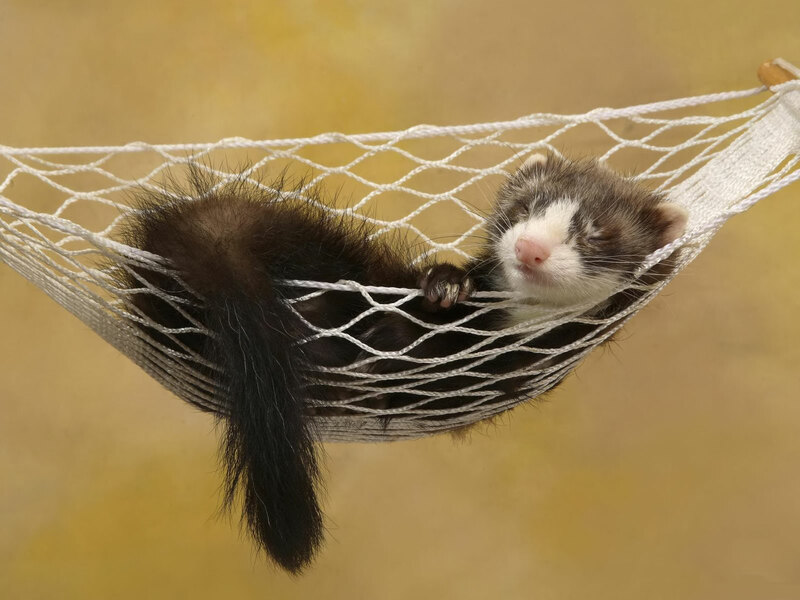 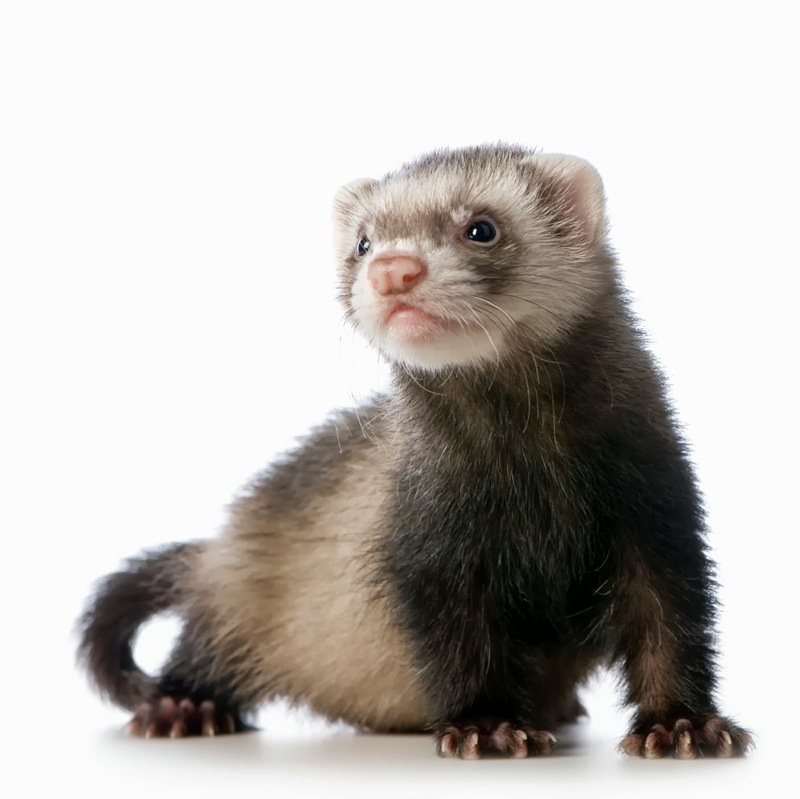 The ferret (Mustela putorius furo) is the domesticated form of the European polecat, a mammal belonging to the same genus as the weasel, Mustela, in the family Mustelidae. 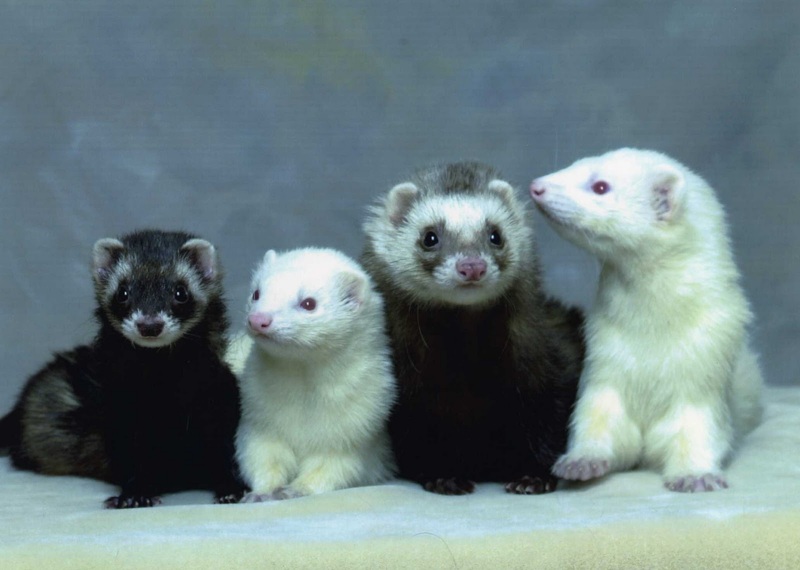 Their fur is typically brown, black, white, or mixed. 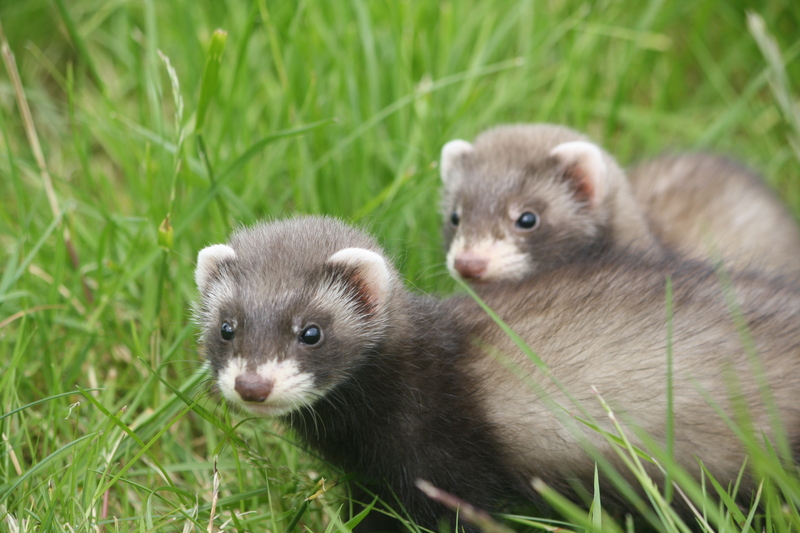 They have an average length of 51 cm (20 in), including a 13 cm (5. 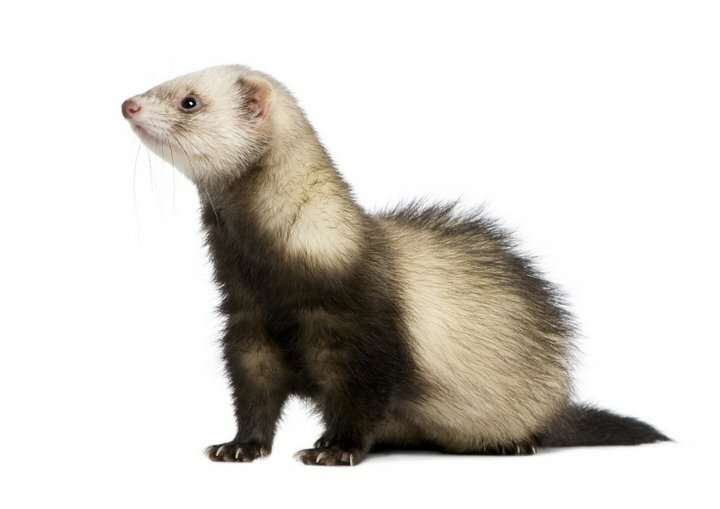 1 in) tail, weigh about 1. 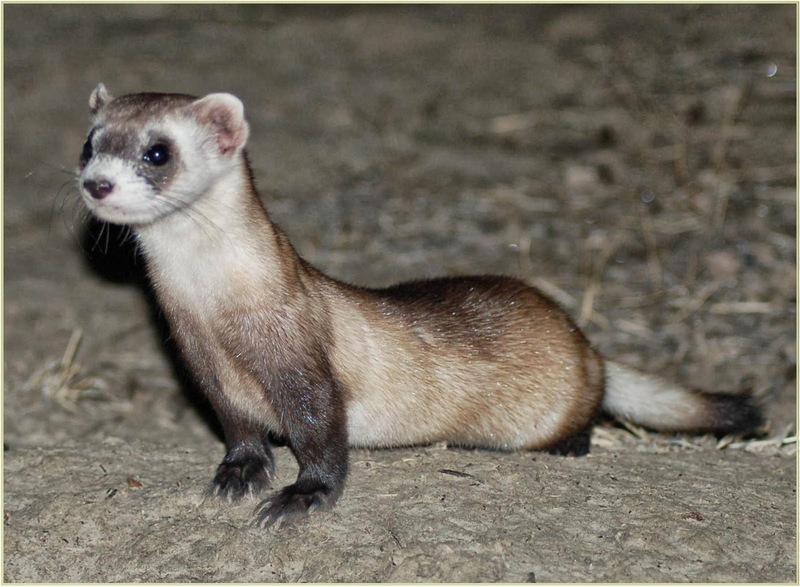 5–4 pounds (0. 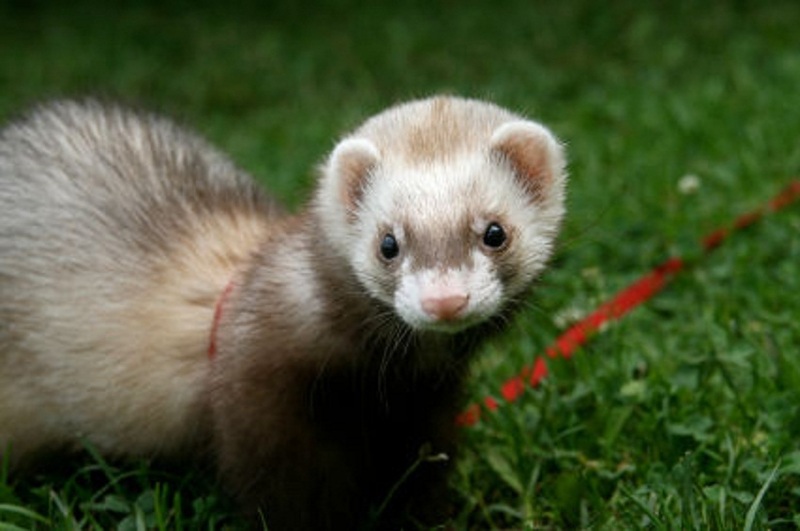 7–2 kg), and have a natural lifespan of 7 to 10 years. 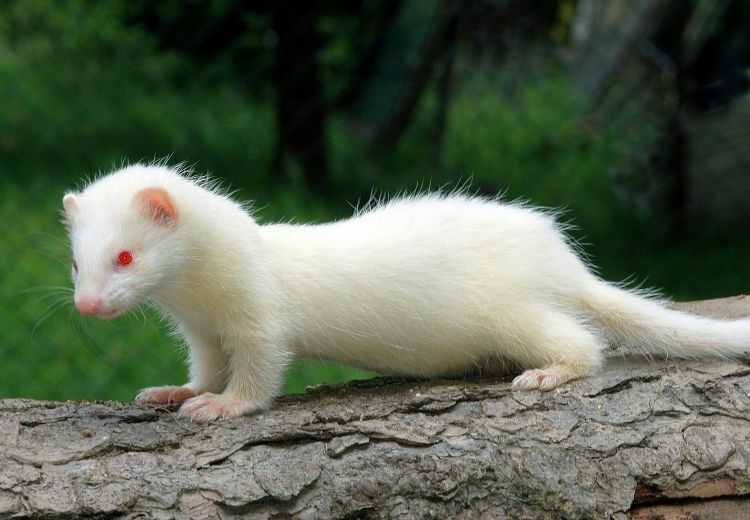 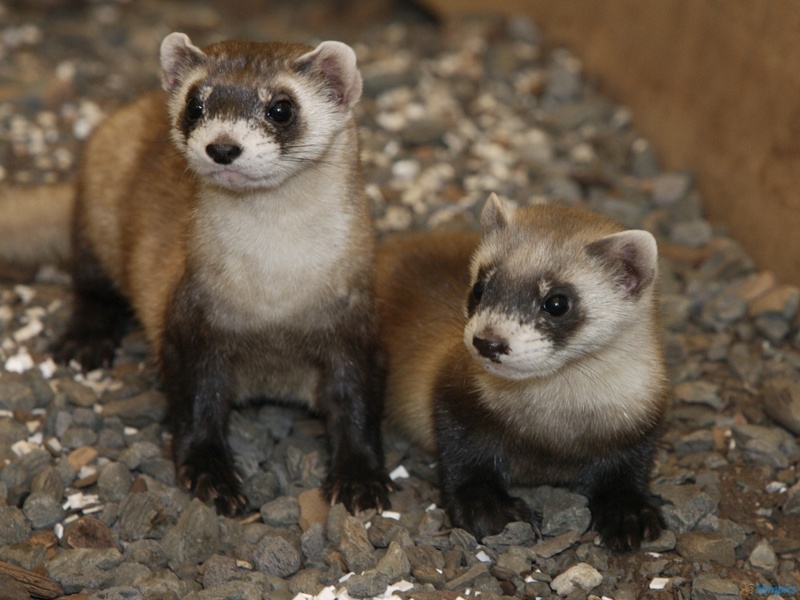 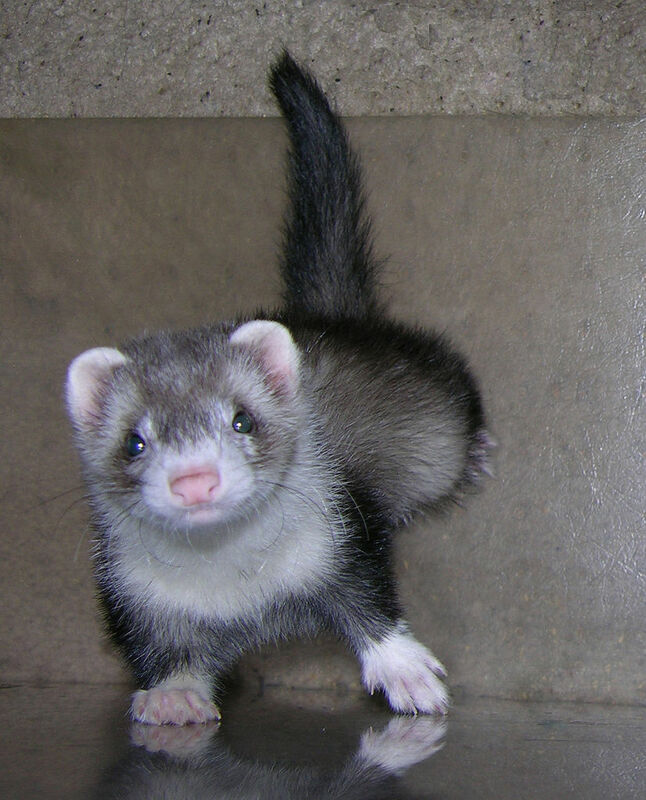 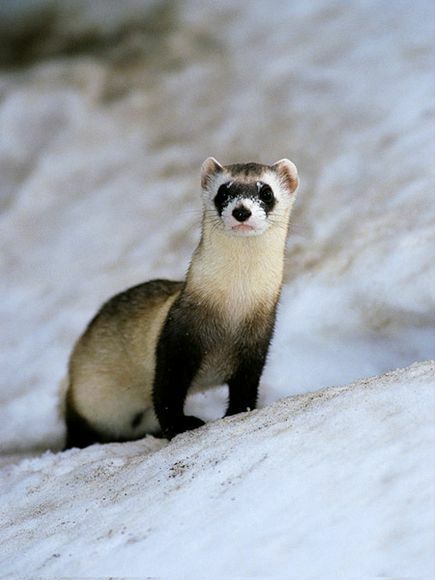 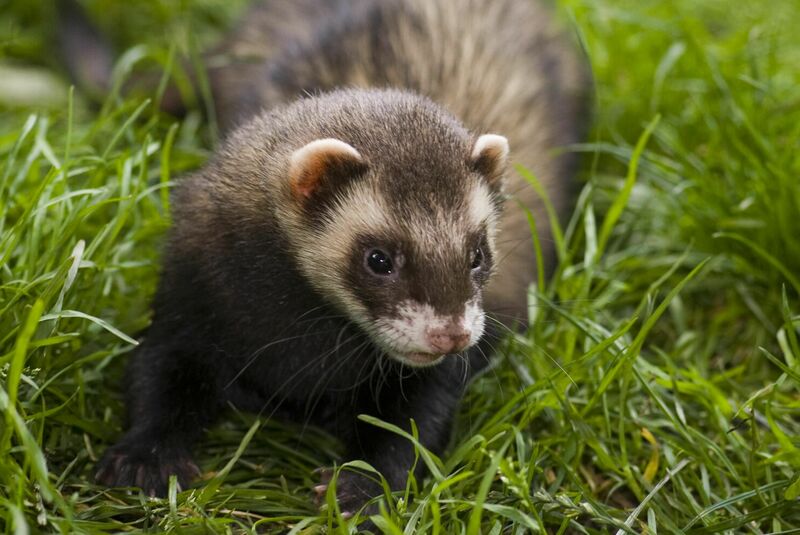 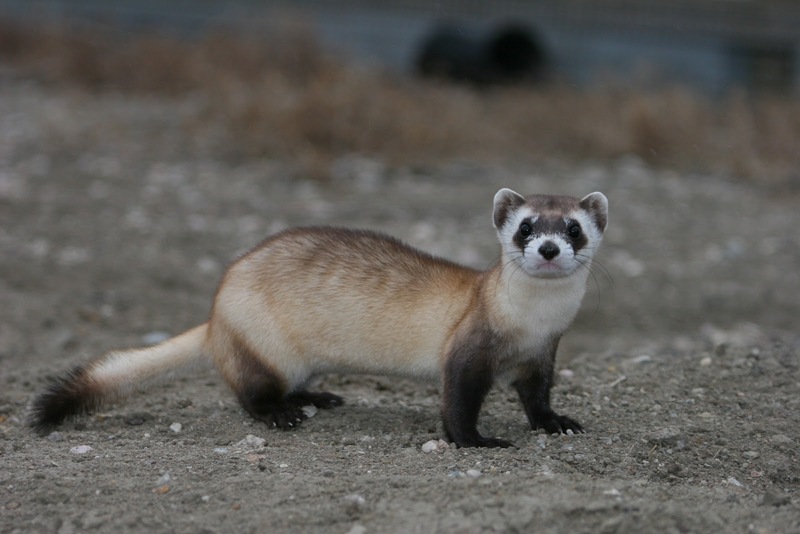 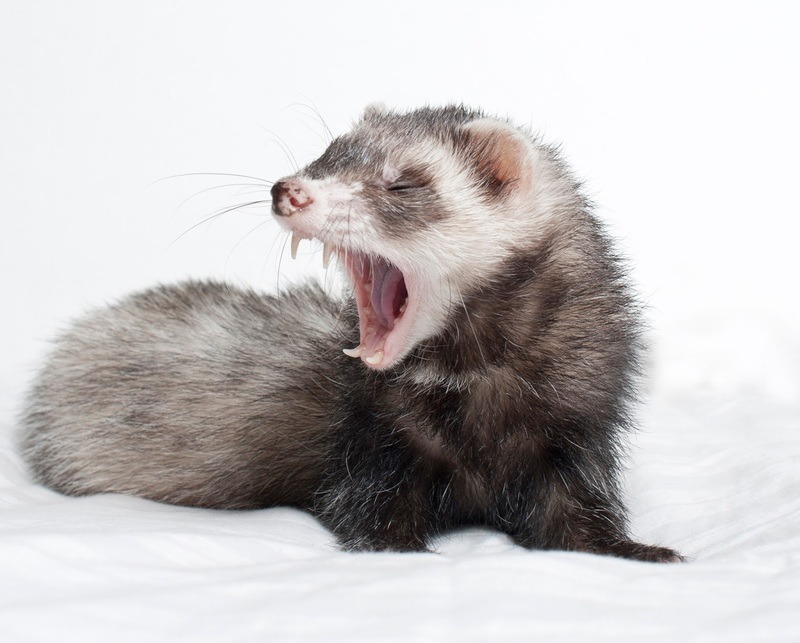 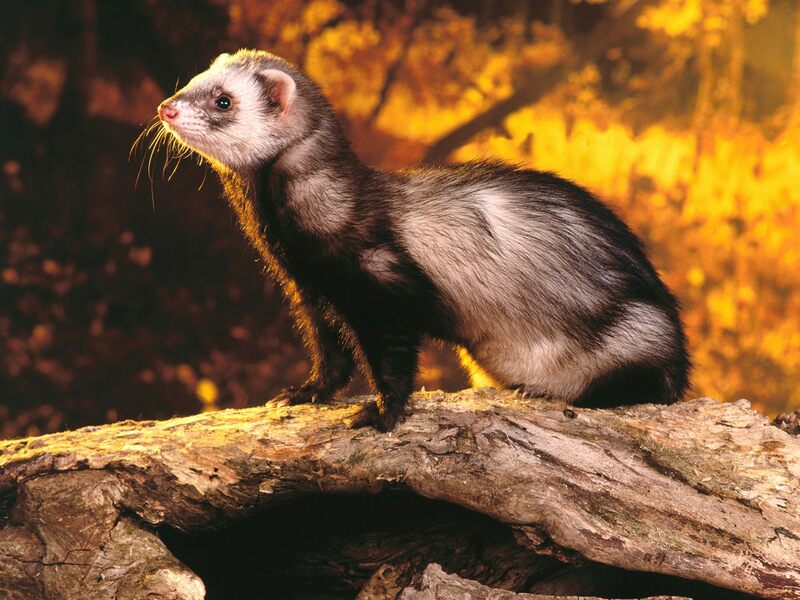 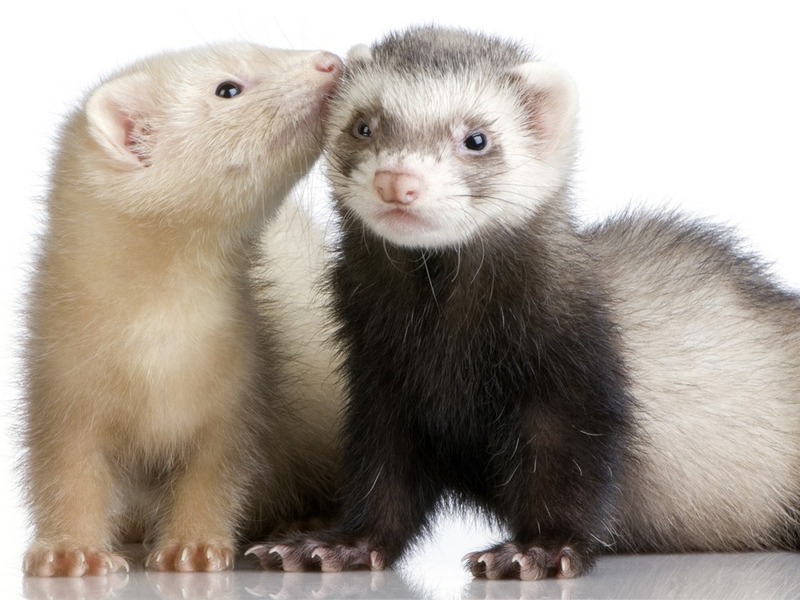 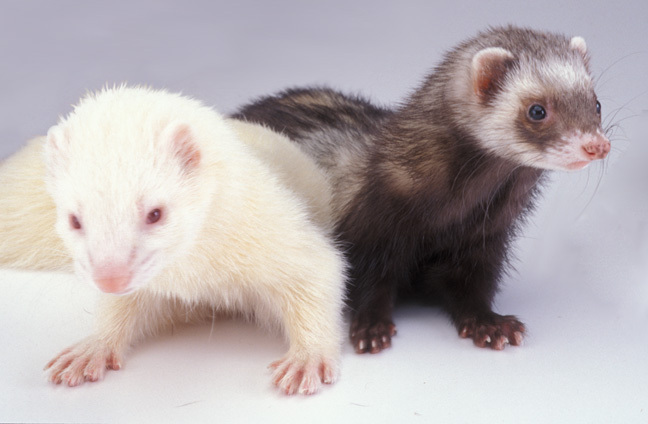 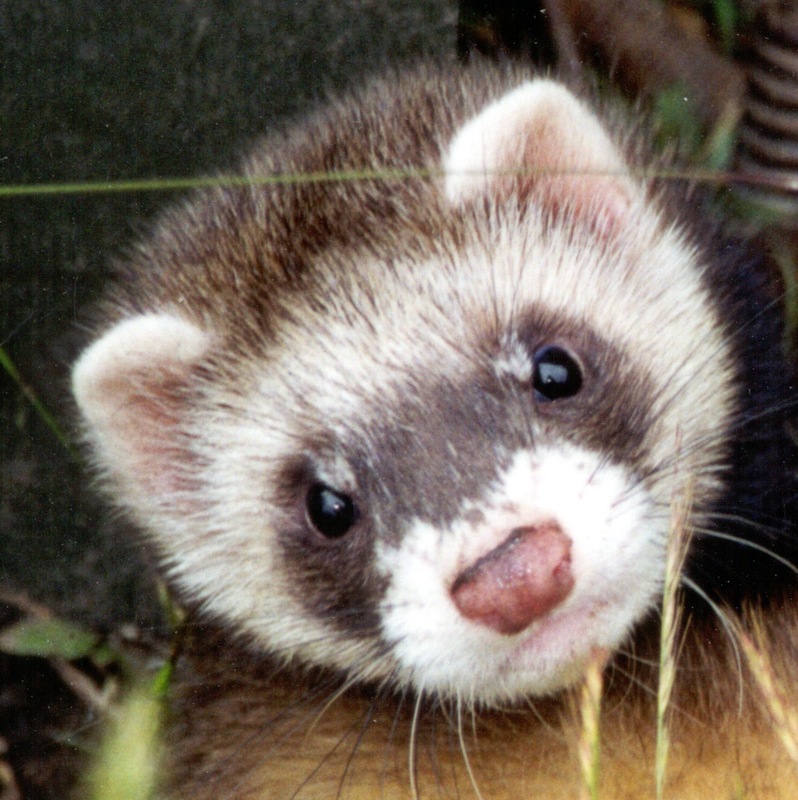 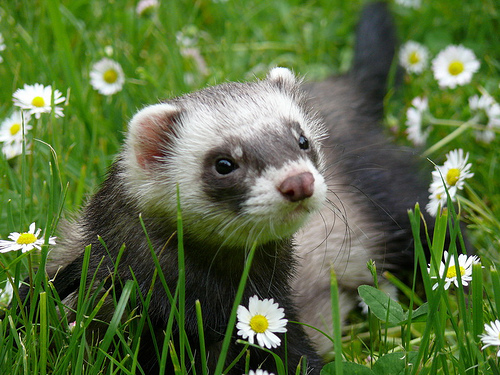 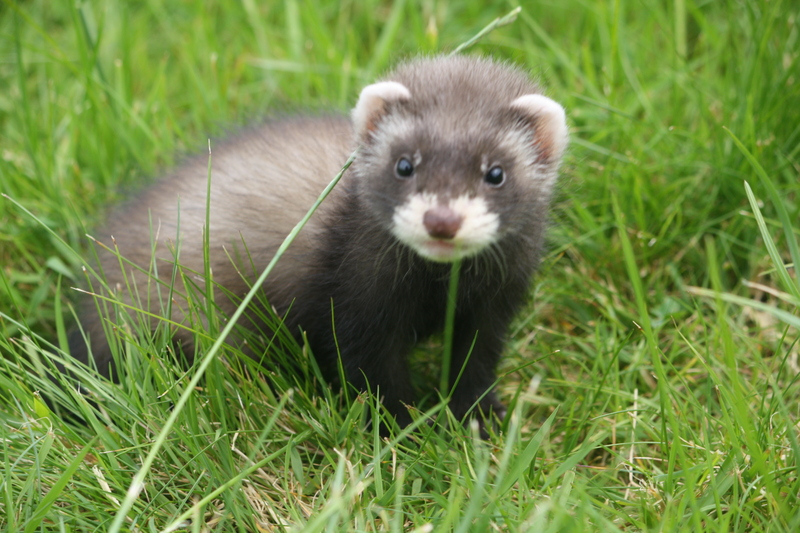 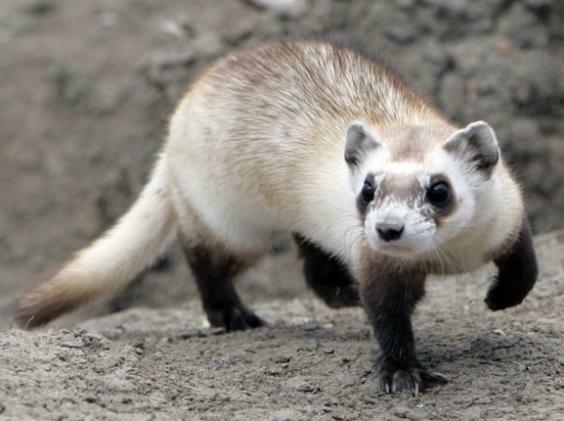 Ferrets are sexually dimorphic predators, with males being substantially larger than females.